Founded 40 years ago by Howard Tapper, Tapper's Diamonds & Fine Jewelry is now led by his son Mark Tapper as President. 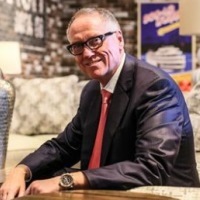 With the first generation establishing the foundation and passing it on to the next through mentorship, it allows the next gen to ground and incorporate those values as they evolve with the demands of modern shoppers. The just-opened, experiential JGA-designed Tapper'sis a perfect example of this: With a U-shaped bridal bar untraditionally designed to be at bar height with counter stools and a Tapper's Tap Room bar shoppers can relax at & sip on rotating Michigan-made beers on tap, Mark Tapper says this new Tapper's location "provides a more personalized and engaging shopping experience than ever before." 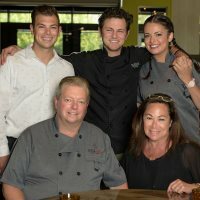 Restauranteur and renowned chef Jeff Baldwin opened his family's second restaurant Testa Barra Kitchen and Cocktails in summer 2017. Testa Barra differs from the family's first restaurant being that it's run by Jeff's sons Michael and Jeffrey under Jeff's guidance, and is a younger "downtown foodie" vibe and experience, from the design to the dishes. Chef Michael, 23, leads the kitchen in creating unexpected, contemporary dishes and Jeffrey, 27, is taking the reigns as Director of Operations. 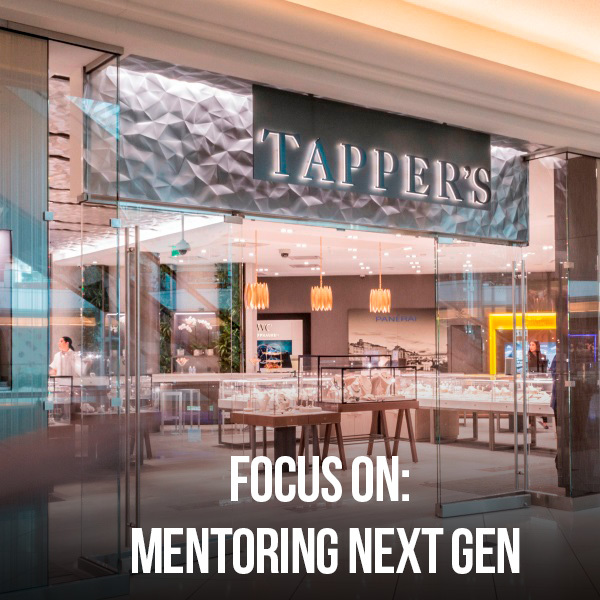 While trendy, the restaurant still reflects good ol' fashioned principles and leadership, and like Tapper's, is another prime example of next-gen mentorship at its finest. Why think about becoming a mentor? Because it may be just the ticket to refresh and inspire your own creative process. A new book titled One Minute Mentoring was released in 2017 by Ken Blanchard and Claire Diaz-Ortiz. The authors introduce their text with an ancient Buddhist quote: "If you light a lamp for someone, it will also brighten your own path." 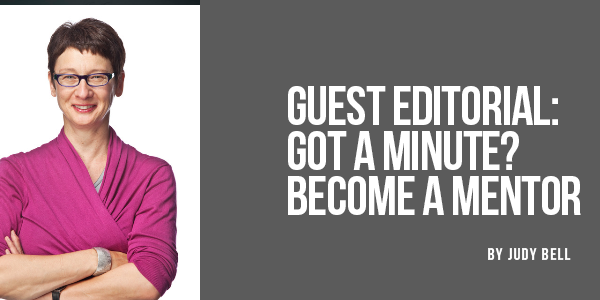 Why did they use "one minute" in the title? In their words: "� the best advice we ever gave or received did not come in the form of long, complex theories-it came in short, meaningful insights."